Pixar has a magical way of making arbitrary objects painfully cute. They turned a rusty trash compactor into one of my favorite animated characters, a rat into a charming chef, and have made plastic toys, cars, even bugs feel life-like and relatable. Now they’re breathing life into a beloved food: a dumpling. The animation studio’s newest short Bao, which will debut in front of Incredibles 2 this summer, is about a Chinese steamed bun come to life. When Pixar released the first still from the short, I just about melted in my chair. It’s as puffy and cuddly and cute as can be, with chubby cheeks and a jovial smile. But wait, this is also very troubling – how could I ever eat the delicious Chinese dish again if it’s so damn cute, and you know, alive? Or, a worse thought: will the anthropomorphic bao subconsciously trigger a craving to eat more dumplings? Such is the confusion I experienced, as you may, watching the first clip from the short film. Get a taste of Bao, our upcoming short opening ahead of #Incredibles2 June 15. Oh no, this only made it worse. Not only is that plump steamed dough adorable, it also cries and sneezed like a sick baby. I simultaneously want to wrap it in my arms to keep it safe and gobble it up. I can’t help but be freaked out by its tiny little limbs while also wondering what delicious filling lurks inside. An empty-nesting Chinese mom gets another chance at motherhood when one of her dumplings springs to life. But she must come to terms with the bittersweet revelation that nothing stays cute and small forever. 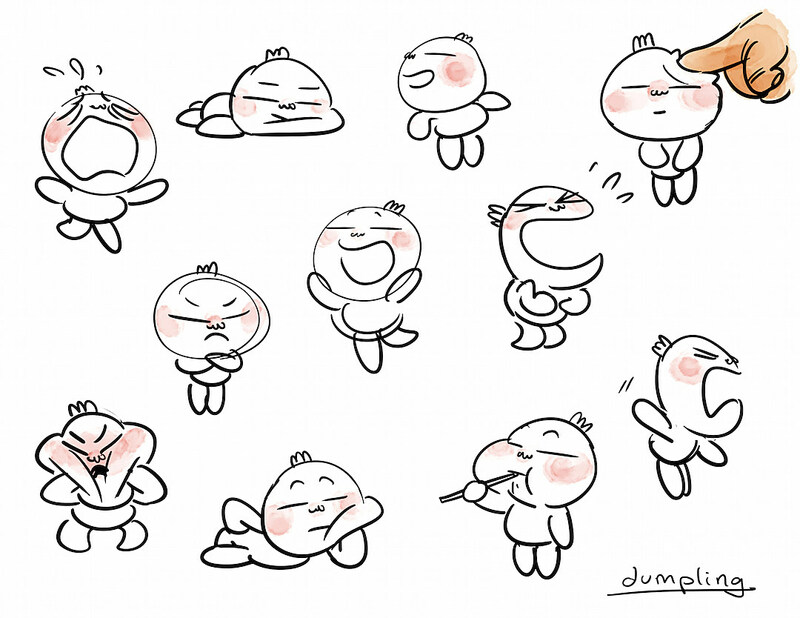 In case you’re not already in enough of a quandary over this tasty little character, check out the adorable concept art. Yup, this little steamed bun is definitely going to make me cry. See Bao when Incredibles 2 hits theaters June 15.